A group of Lehman College students were among the participants at the 2014 Somos El Futuro Legislative Conference in Albany, NY. The 2014 theme was Hispanics Empowering the American Landscape: Economic Progress and Social Justice. Hundreds of young people from across the state gathered to participate in workshops and training sessions intended to nourish young minds and provide them with the tools the need to become successful adults and contributors to society. Lehman College students played a variety of roles at the conference. Taking part in CUNY’s Model Senate Program were seniors Ibrahima Souare, who is studying political science, and Ayanna Alcid, an accounting major. “It was a wonderful experience, from the training sessions to actually being in the Senate session,” said Ayanna. The students debated campaign finance in the Model Senate Program, a subject that hit home with the students when the issue hit the news with the U.S. Supreme Court’s decision on April 2. Representing Lehman in the University Student Senate were seniors Victor Trinidad, a business administration major, Orevaoghene Obaro-Best, an English major, and junior Nikita Shetty, a mathematics major. 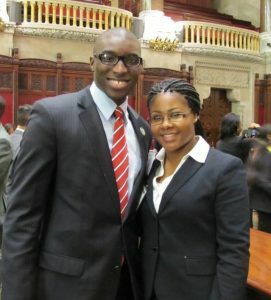 Senior Aminat Adebayo, a political science major, also made the trip to Albany to represent Lehman College. “Even the bus ride to Albany was a training session as we recited our speeches,” said Ayanna. This was the 27th Somos El Futuro Conference. Sessions focused on current issues that affect the nation, state, and local communities. Workshops comprised experts in economy, health care, immigration, labor, veterans’ affairs, policy development, project coordinators, housing, mental health, domestic violence, bilingual education, and LGBTQ issues. 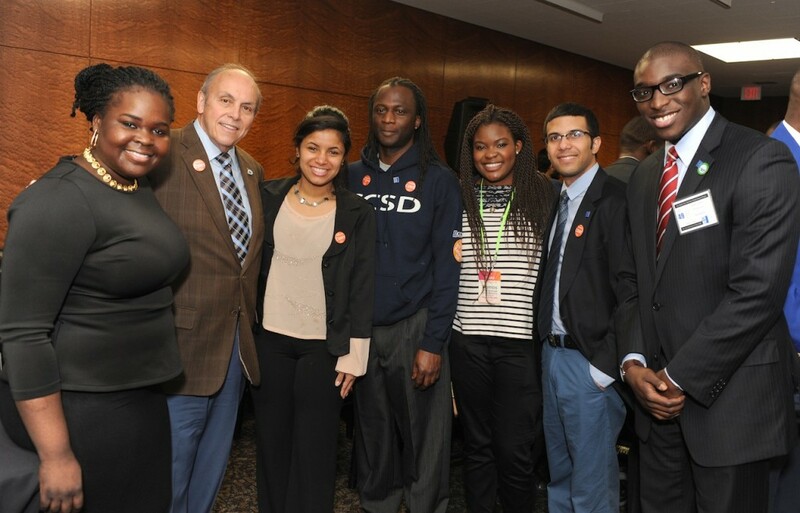 Many of the students were also invited to the annual City University of New York (CUNY) luncheon, where they had the opportunity to meet with Lehman President Ricardo R. Fernandez and CUNY Senior Vice Chancellor Jay Hershenson, as well as other dignitaries. While she is studying accounting for now, the adrenalin of the State capitol has opened Ayanna’s eyes to career choices.